Success comes when you can convert leads into sales. And not just sales but a lot of sales. The way to do that is by creating amazing content and products that people love. 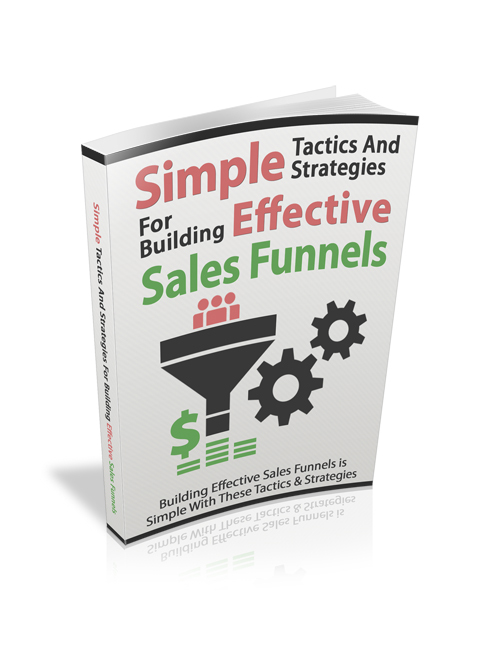 This guide gives you the most effective strategies to get your sales funnel working like a master level marketer. It’s a competitive world out there and everyone is fighting for the same traffic. Everyone is trying to put out the best series of products for potential customers and bring them into their sales funnel. Rather than having to build and tweak your funnel, it’s better to get it done the right way from the start by replicating the techniques of the pros who are killing it as we speak. When you’re ready to charge full-steam ahead and build the world’s greatest sales funnel, download this guide. What you’ve been looking for is within these pages. Get it now.